I do some of my oddest meal planning during acupuncture. I guess when my brain is told to ‘stop stressing’ for 45 minutes, it thinks of food. I’m not terribly surprised by this. Today was no exception. Whenever my immune system starts to get funky (yeah, funky may not be the best word) I crave juice. Fresh squeezed vegetable juice, to be exact. The only problem is acquiring it. There are a few commercial brands that make high-quality-only-real-ingredients vegetable juices, but they are mostly cost prohibitive. And, you know me, I’m going to do my darndest (which is apparently not a word) to make it myself. So let’s talk about juicing. Fruits and veggies, not ‘roids. 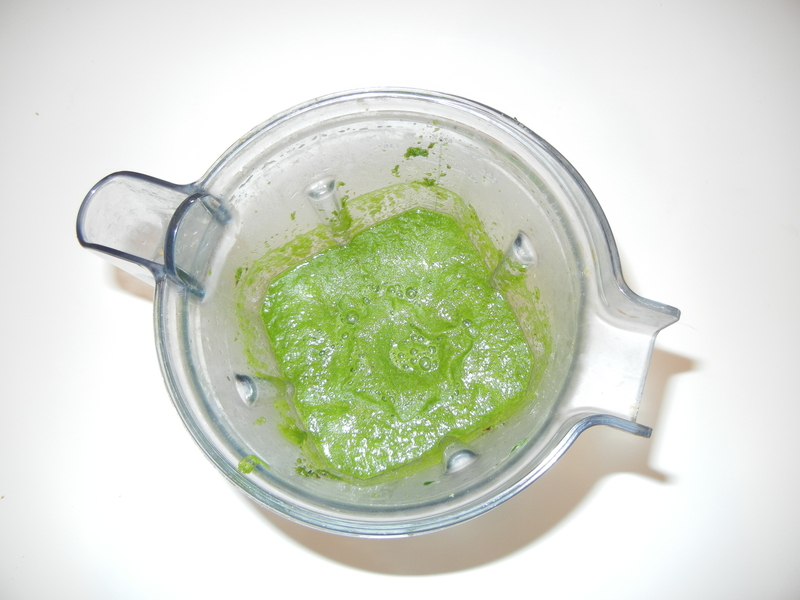 First of all – how do you make vegetable juice? I would say you squeeze kale really hard until it begs for mercy and produces you some green juice, but you are going to be the one begging for mercy before kale gives you any juice. The main way people juice is with juicing machines. Which will cost you anywhere from $50 – $500. I’d be lying to say I don’t want a juicer. I’d love for one to land in my kitchen. But, at this point in time, I can’t justify the extra expense. So I’ve been trying another route (details below). 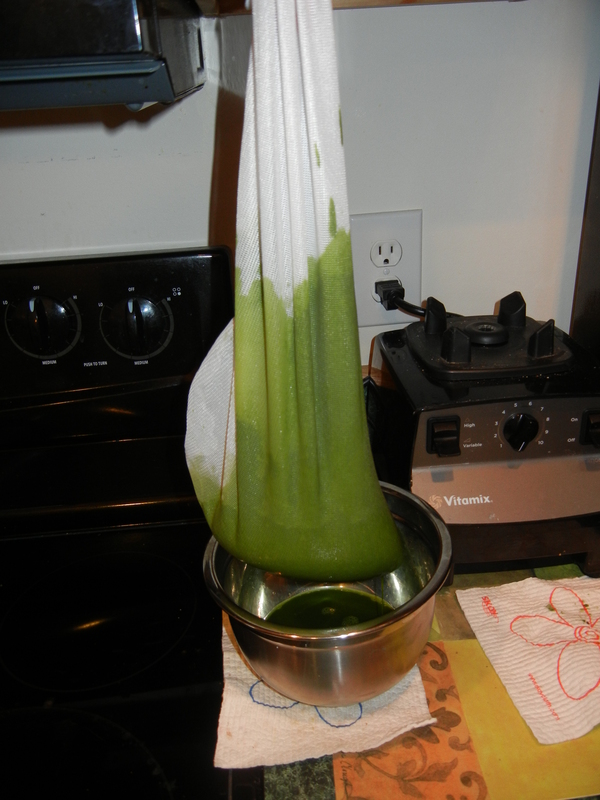 Juicing involves grinding vegetables and fruit, while separating the pulp (aka, the fiber) from the juice (aka, the liquid). 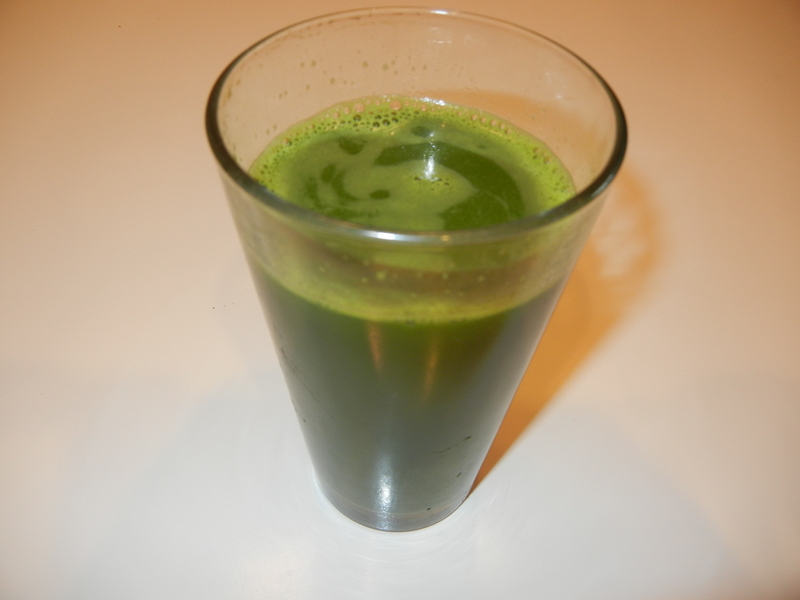 And this is the point where juicing becomes a gray area as far as the nutritional benefits. When you strip the fiber from fruits and veggies, it’s super easy to eat too much, as well as overload your body with sugar and calories. It’s also incredibly easy to become fiber deficient as most American’s are. But there are times when my body needs the raw, stripped down nutrients of fruits and veggies, without the work of breaking away the fiber. Mainly, when my immune system gets funky. And, brutal honesty time I get plenty of fiber. Just sayin’. So, my conclusion on juicing is – it’s not an every meal every day kind of thing, but it’s an awesome pick-me-up for my funky immune system. But I’m cheap. And haven’t yet convinced myself (or my husband) that I need to buy a juicer. And until I do, I get by with the vitamix. 1 – Put the stuff in the vitamix. I juice mainly veggies, with a few mild fruits to cut the edge. Today I did kale, lettuce, celery, parsley, cucumber, apples and a lemon. 2 – Blend. A lot. Until it’s completely liquid. I have to tamper a lot because I don’t add water. It also helps to put your juicier items at the bottom to get things moving. 3 – Strain. At this point you have a smoothie, chock full of fiber. Which is great. When my gut can handle it. 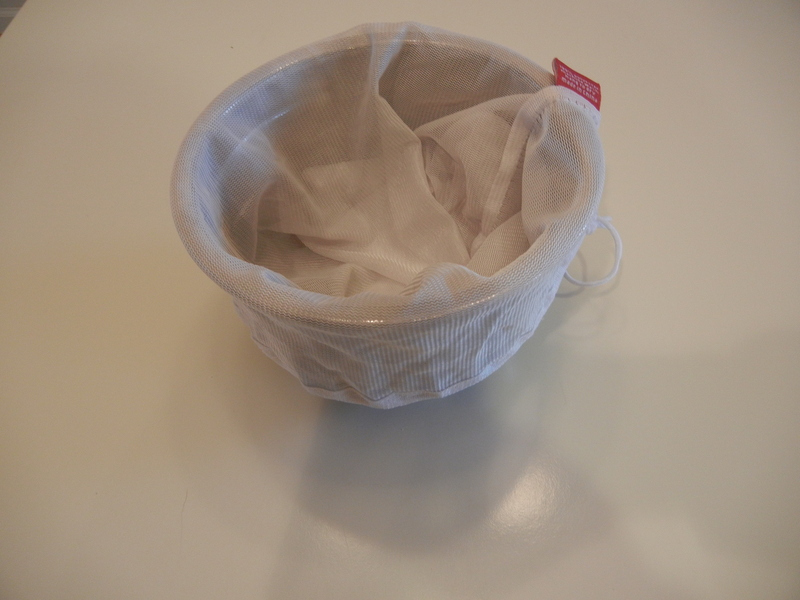 I strain in my cheap-scape produce bags I showed you when we made cashew milk, and that you can buy here. Cheese cloth works too better. 4 – I let mine drip-strain if I’m not ready right then for it. Otherwise and/or after I get sick of waiting, I squeeze all of the liquid out. 5 – Now you’re left with two things – juice and pulp. Juice is for drinking. Pulp is for trashing, or using in tons of different recipes, which I’ve pinned some here and you’re welcome to follow. 6 – Drink the juice. Use or freeze or toss the pulp. Your funky immune system will thank you. Have you ever juiced (fruits and veggies)? 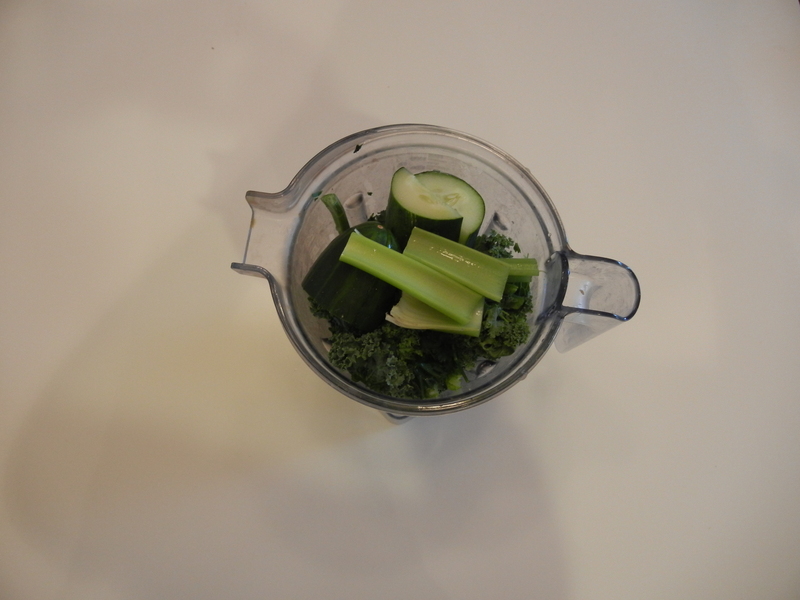 Pingback: Let’s Talk about Juicing [in a Juicer] | Make them whole foods. Make them delicious. And make sure you feel great eating them.